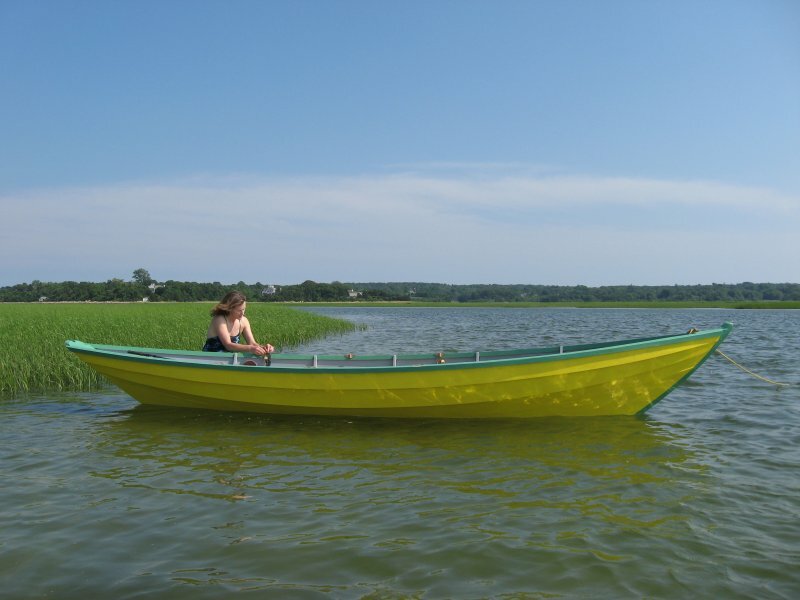 First-time builder Arne Ojala of West Barnstable, Massachusetts, started building this 18′3″ Swampscott Dory in January 2012, from plans by Iain Oughtred, that he bought at The WoodenBoat Store. 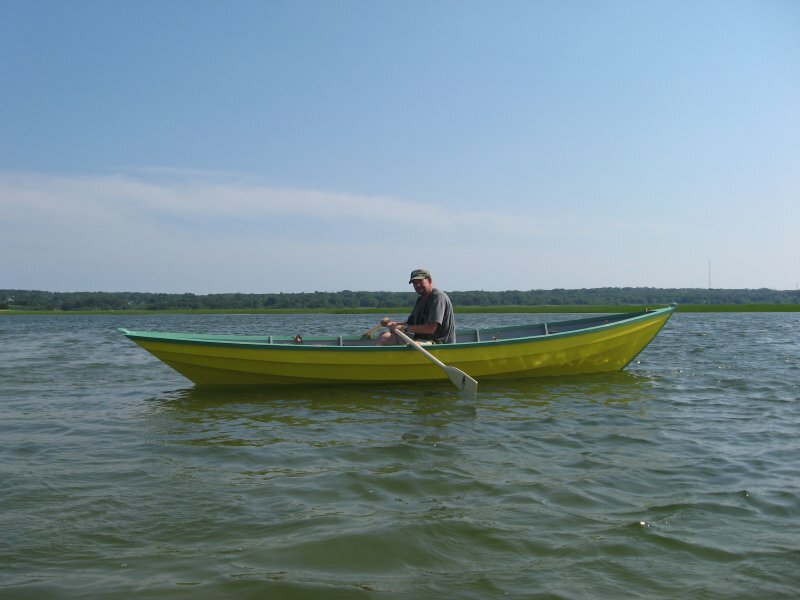 He built the hull of the CAP’N LEWELL A. SWAN from 5/8″ Eastern white pine planking on frames of black locust, also constructing the stem and transom from black locust. The bottom of the hull is built from 1″ pine with locust rub strakes on the bilges to protect the hull when beaching. Much of the wood on the boat is comes from trees near Arne’s home. At present he fishes and clams from the CAP’N, but next summer he hopes she’ll have a sailing rig. For more information contact ahojala@verizon.net.